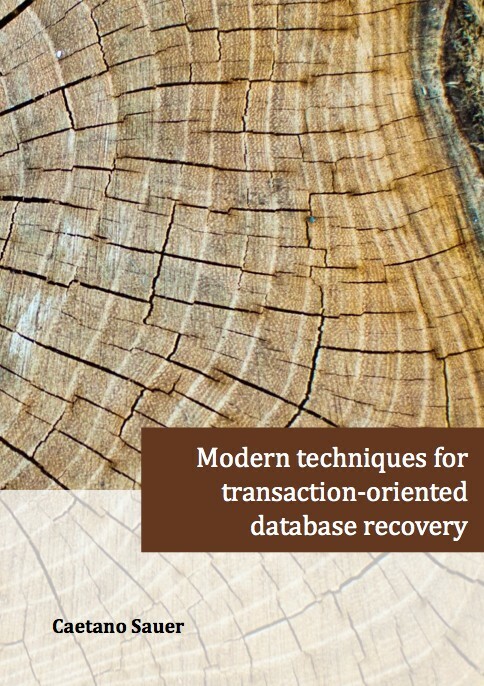 Transaction-oriented database recovery has been a “solved problem” for at least 25 years since the introduction of the ARIES methods for logging and recovery. However, recent technological developments have urged the need for new software architectures that can better exploit the efficiency of modern hardware. In the context of recovery, new methods and algorithms are required to effectively accommodate the exponential decrease in main-memory cost, the advent of flash memory, the rapid expansion into many-core CPUs, and the ever-increasing capacity of magnetic disks. This thesis describes and evaluates a variety of new software techniques for efficient transaction-oriented database recovery. These techniques are presented in an incremental manner, starting from the widespread write-ahead logging approach of ARIES and ending with a radically new system design that relies on logging as the only form of persistent storage. The results of this thesis improve the state of the art in transaction-oriented database recovery in three major ways: (i) improved availability in the presence of failures by recovering fine-granular data items on demand; (ii) elimination of bottlenecks incurred by logging and recovery on in-memory transaction processing; and (iii) simplification of the system architecture by decoupling persistence-related components from in-memory transaction processing. The contributions herein differ from other recent research in the field by being largely hardware-independent. In particular, data is not assumed to fit entirely in main memory and the software architecture in general accommodates traditional hard disks as well as solid-state drives, non-volatile memory, and very large volatile memory.